I’m honoured to have been asked back to do some busking at Woking’s popular Party in the Park on Saturday 9th July. If you’ve not been to Party in the Park before it’s a great event – not just a wide variety of music, but food stalls, fairground attractions. There are also plenty of things for kids to do as well. And it’s all free! It takes place in Woking Park, just south of Woking town centre and close to the Leisure Centre. The party kicks of at 12:00 noon, and finishes at 9pm. I’ve currently no idea what time I’m going to be playing, or where in the park, but I’ll post on that when I know more. You can bet it won’t just be me busking though, there are loads of great musicians in the Woking area – of all different styles. So why not pop along and have a great time. And let’s pray for good weather like last year. The formal address for Woking Park is: Kingfield Road, Woking GU22 9BA and there’s more information on the Celebrate Woking website. 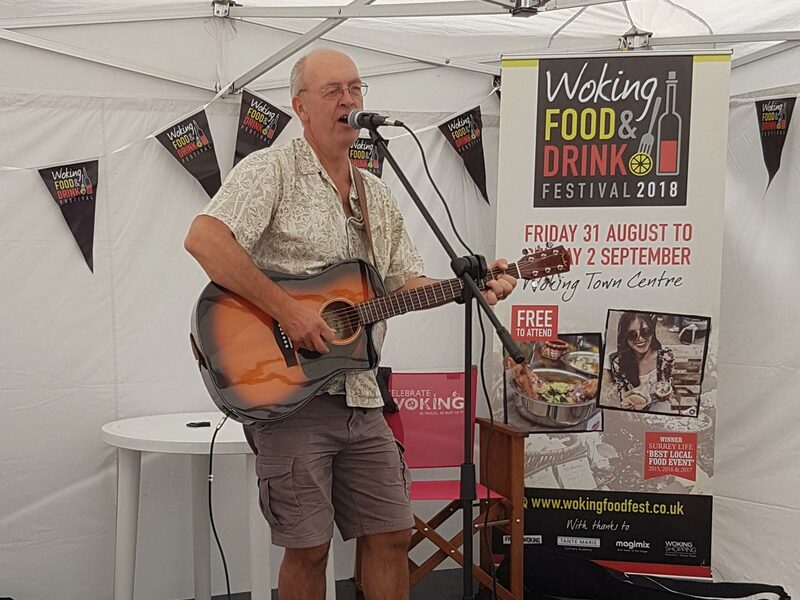 Through my involvement with the Phoenix Cultural Centre in Woking, I was given the opportunity to do some busking in Woking Park during the annual Party in the Park event. Along with other musicians I played at two different locations within the park, the best being on the way towards the leisure centre, by the duck pond. Woking crowds aren’t as used to live music as they would be in Guildford, but it was great to see a positive reaction fro people walking past. Here are a couple of videos from the day.